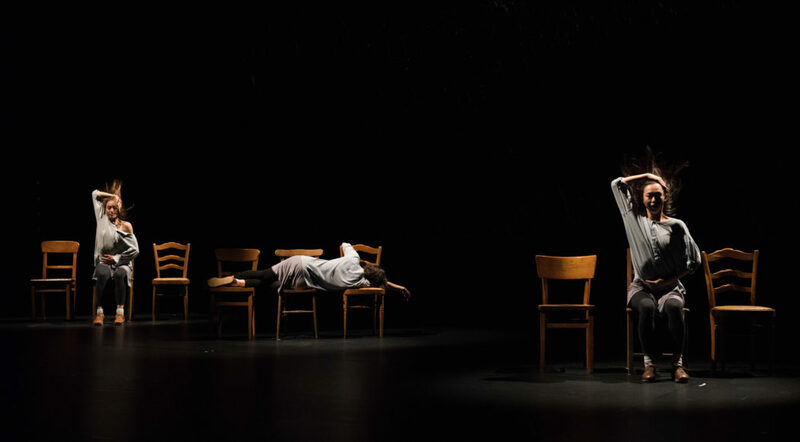 In 1983, Anne Teresa De Keersmaeker had her international breakthrough with Rosas danst Rosas, a performance that has since become a benchmark in the history of postmodern dance. 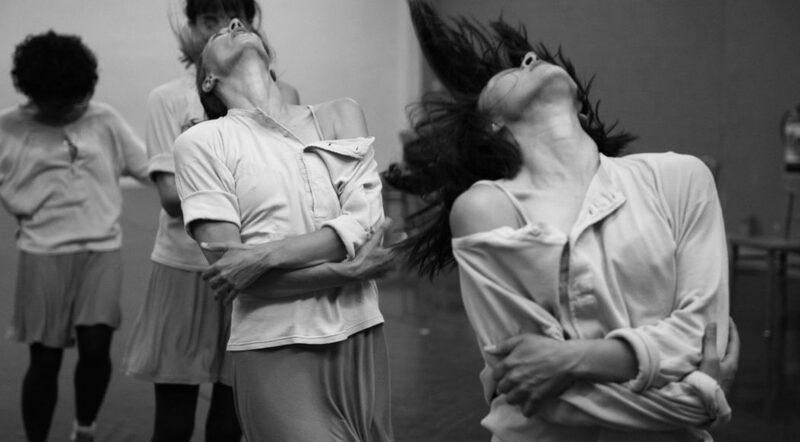 Rosas danst Rosasbuilds on the minimalism initiated in Fase (1982): abstract movements constitute the basis of a layered choreographic structure in which repetition plays the lead role. The fierceness of these movements is countered by small everyday gestures. 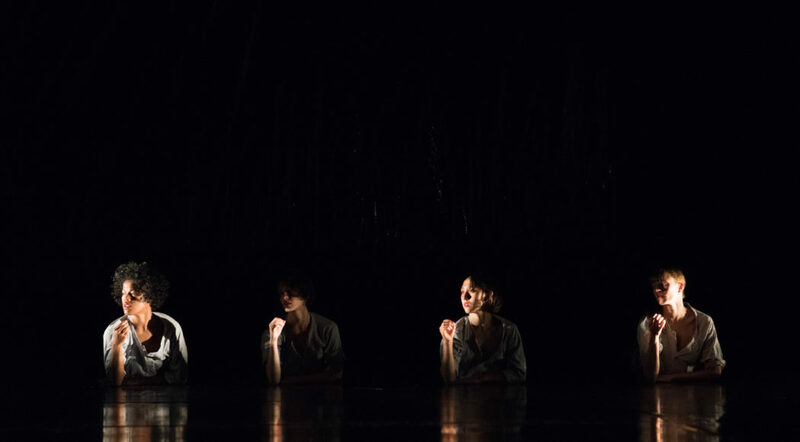 Rosas danst Rosas is unequivocally feminine: four female dancers dance themselves, again and again. The exhaustion and perseverance that come with it create an emotional tension that contrasts sharply with the rigorous structure of the choreography. The repetitive, “maximalistic” music by Thierry De Mey and Peter Vermeersch was created concurrently with the choreography. This restaging of Rosas danst Rosas will be danced by a completely new young cast. duration: 1 h, 35 min. 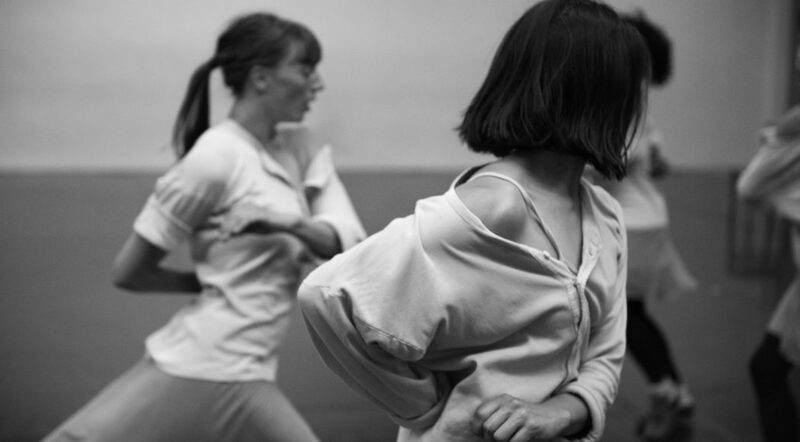 In her internet project “Re:Rosas” choreographer Anne Teresa De Keersmaeker invites dance enthusiasts from all over the world to learn parts of the choreography of “Rosas danst Rosas” and to publish their own version. The resulting videos can be viewed free of charge on the upper floor of the Festspielhaus for two weeks from 18.04.2019. Rosas is supported by the Vlaamse Gemeenschap and the BNP Paribas Foundation. Rosas has supported the Flamande Community and the BNP Paribas Foundation. Rosas is supported by the Flemish Community and the BNP Paribas Foundation.